Pie Crusts for a Crowd! 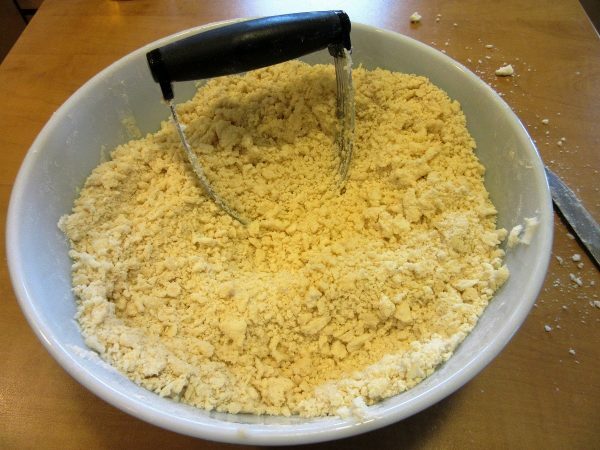 Making Pie Crust seems to be intimidating to so many people and it really does not need to be that way. There are a few simple steps to learn but when you do, the rest is easy. Do not over handle the dough. That alone can make it tough. A gentle touch is best. 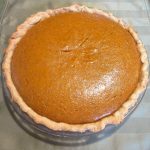 Room temperature can affect your pie crust dough. 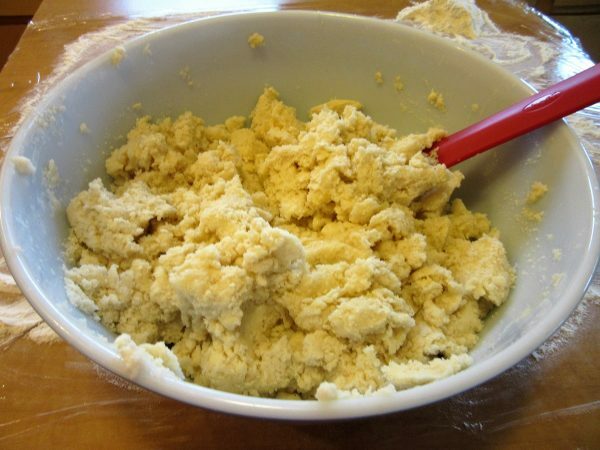 If the room is too cold the dough will be too stiff to roll easily. If the room is too warm, the dough will be too soft and sticky. My best trick is this one. Wet the surface you are rolling the dough out onto. Then cover it with plastic wrap. Generously flour the plastic wrap. When you have the pie crust rolled out to size, place the rolling pin at the top of the dough. Then lift the plastic wrap and slowly pull it towards you. The dough will fall onto the rolling pin. The rolling pin will keep rolling towards you until it has gathered the pie crust. 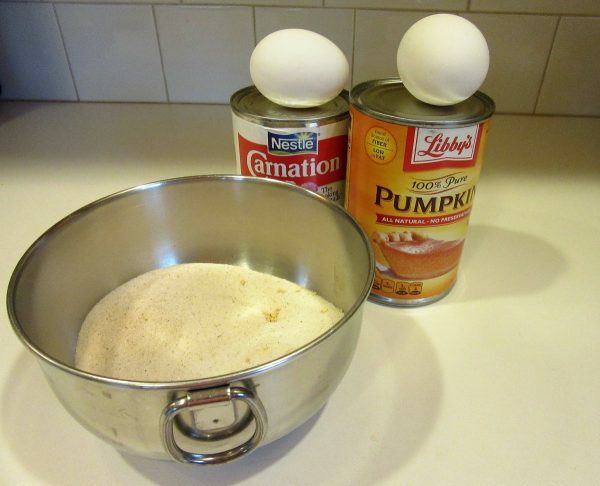 Then simply and gently pick up your rolling pin, set it on the pie plate and unroll the dough. Bob’s your uncle. It’s done! So, let’s get started with that great recipe that Thelma, one of the Nursing Supervisors at Sisters of Charity Hospital gave me about 35 years ago! The recipe makes enough dough for 3 double crust pies. If not using it all, you can divide in equal portions wrap securely in plastic wrap then a freezer bag and freeze it. Guaranteed to make a tender flaky crust every time. 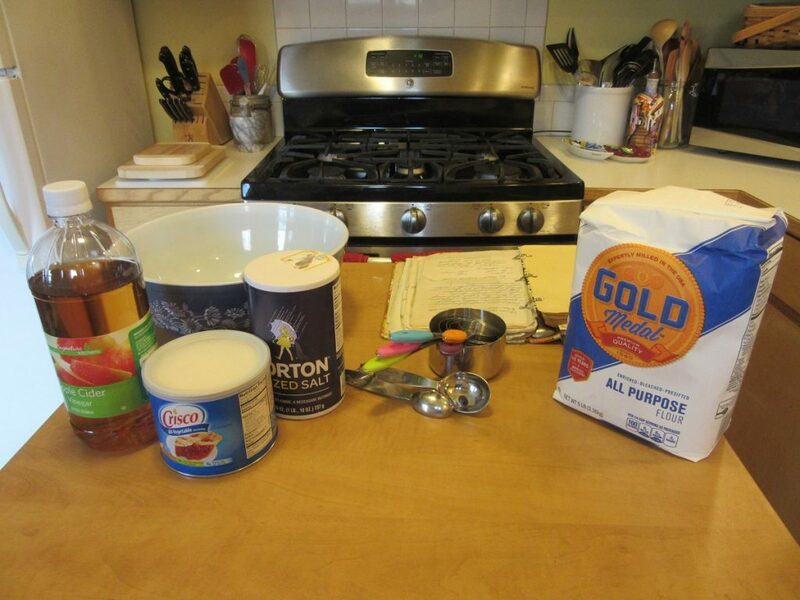 Let’s build us some Pie Crust! Easy to handle, tender, flaky results every time. The Egg adds extra richness and binds it all together while the Vinegar adds tenderness to the crust. 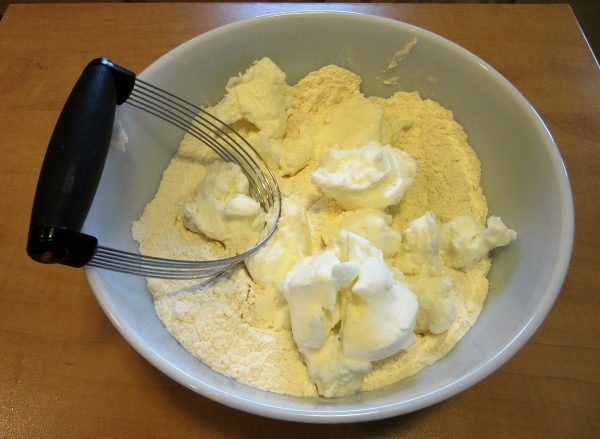 2-1/2 Cups Vegetable Shortening like "Crisco"
Into a large mixing bowl, measure the 5 cups Flour and Salt. Add the Shortening by large spoonfuls. Don't just dump in the whole 2-1/2 cups all at once. That just makes more work and I'm all about easy! 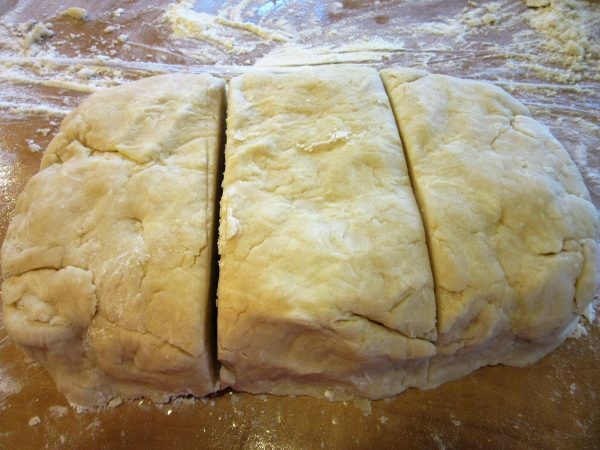 Using a Pastry Cutter, cut the Shortening into the Flour. REALLY work it! The goal is course crumbs. Not too fine but no major lumps. Get it all uniform in size. Shouldn't take more than 2-3 minutes. Get out a 1 Cup measuring cup, the Vinegar and the Egg. 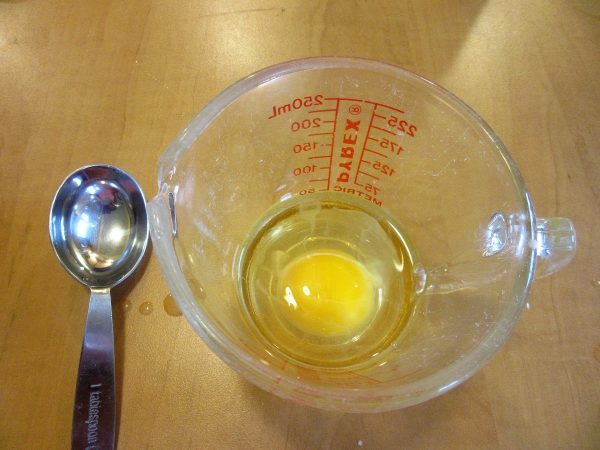 Add the 1TBSP of Vinegar to the measuring cup and then add the egg. Fill the measuring cup to the 1 cup level with ICE COLD WATER. The break the Egg yolk and mix it all together with a fork. 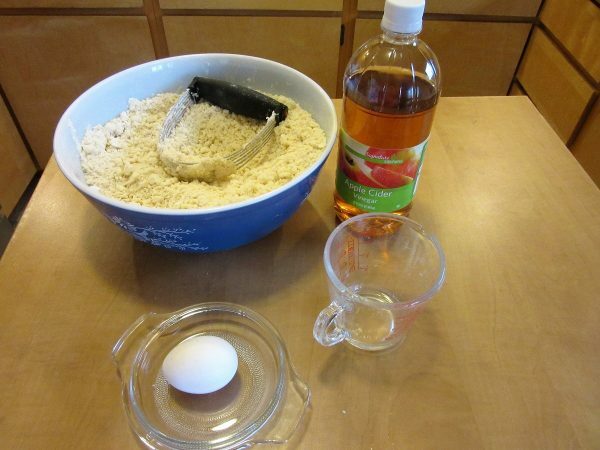 Pour the Egg, Vinegar and Water slowly over the Flour mix. Then with a Rubber Spatula, gently mix it all together just until barely combined. Turn the mix out onto a generously floured plastic wrap covered surface. Knead lightly 8-10 times,just until it all comes together in a soft ball that is not sticky. 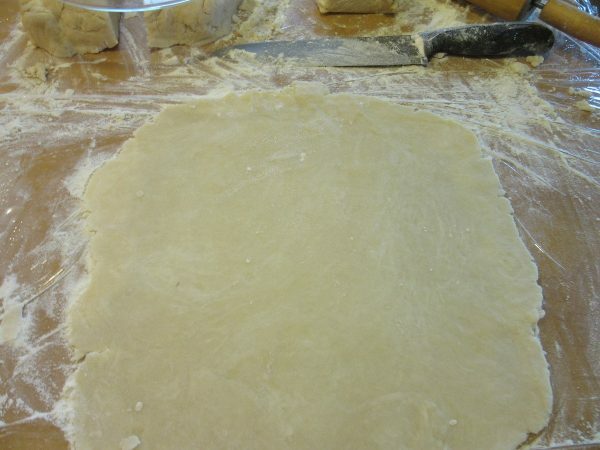 Shape the Pie Dough into a rectangle and divide it into thirds. Then divide each third into half. There you have it. 6 individual pie crusts! Using a well floured rolling pin, roll the dough out nice and thin to where it will fit a 9" Pie Plate. 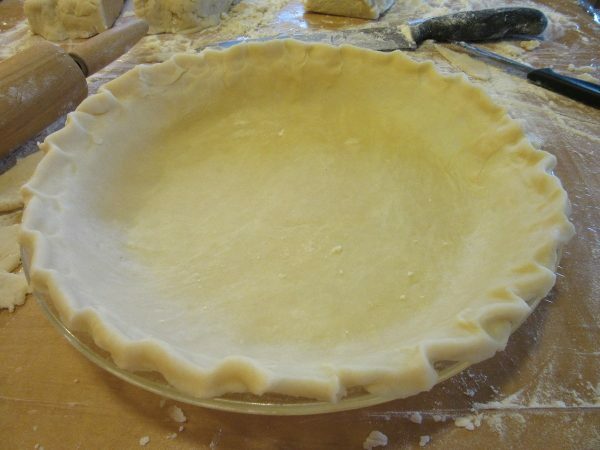 Place the Pie Dough into the Pie Plate and gently smooth it around to fit the bottom and sides. Cut off any extra dough hanging over the edge leaving about 1/2 inch overhang. Crimp the edge to look pretty. Make your Pie Filling of choice. 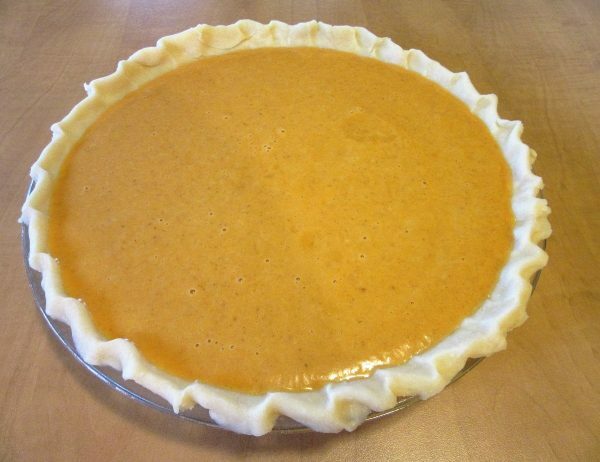 In my case, I made a Pumpkin Pie, because...well...it's that time of year and we both love it! Bake your Pie as directed for your recipe. Then get ready for the compliments! 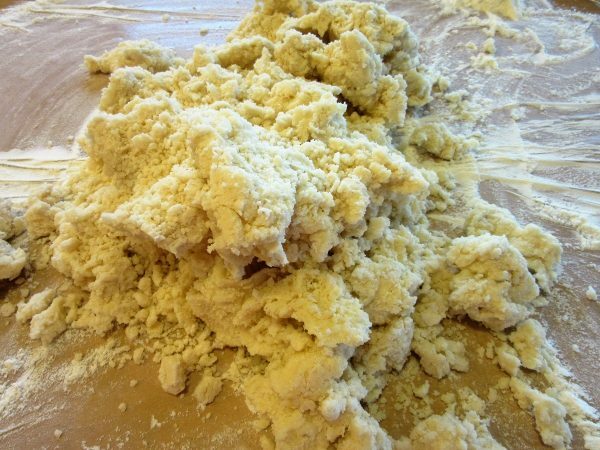 Remember, any Pie Dough you do not use can be wrapped in plastic and placed in a freezer bag and frozen up to 3 months. Thanks so much for stopping by today my friends! Please visit my website at: www.thejourneygirl.com and leave me a comment! I love hearing from you on my website and not just on Facebook. Wherever your journey leads you this Thanksgiving, I hope we will all pause to give Thanks for our Blessings and give Hope to those who need it. Thanks Karen I will definitely give this a try! Hope it works for you! Keeping my fingers crossed. I use it every year at Turkey time.Thanks for taking the time to comment. Thanks, Karen! Looks simple enough. Can I freeze the balls of crust in the freezer until I’m ready to use them? Yes, it freezes very well. I have 4 in the freezer right now. Thanks for taking the time to comment. I’ve been using this recipe since I was a girl. Something about the vinegar that makes the crust so good. You can also use Lemon juice (and I use butter or half butter and half Crisco). So happy to hear that you have used this recipe with success! 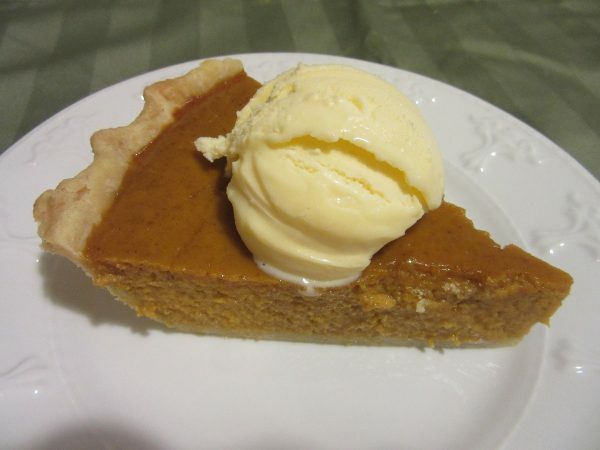 And yes indeed, it is pie season! Thanks for the recipe! Looks easy enough! I am pie crust challenged! You got this! Just be patient and confidant. I am looking forward to hearing your success!